A statement issued by the CTA’s Department of Religion and Culture reiterated its Nov 24 announcement that the ‘13th Religious Conference of the Schools of Tibetan Buddhism and Bon Tradition’ scheduled to take place from Nov 29 to Dec 1 this year in Dharamshala was indefinitely postponed due to the sudden demise on Nov 19 of the supreme head of the Nyingma tradition, Kathok Getse Rinpoche. It said there was no room for any “differences” between His Holiness and the CTA President and that the latter had the highest reverence for the former. 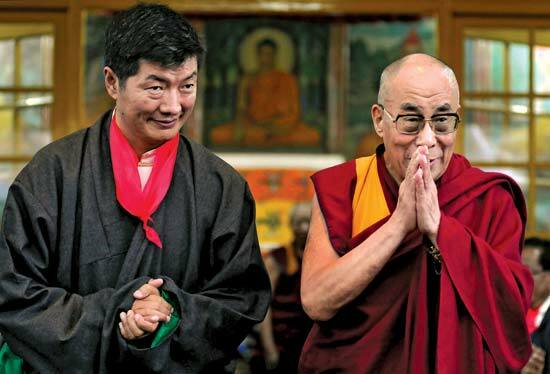 The author of the controversial news article, Rajeev Sharma, has claimed in his southasianmonitor.com report, titled as “Differences between Dalai Lama and CTA president put Tibetan politics in a tailspin”, that insiders, whom he did not name or describe, had revealed that the conference was cancelled by CTA President Lobsang Sangay without consulting the Dalai Lama. He has claimed that during a telephone conversation on Nov 22, initiated by the Dalai Lama from Japan, furious arguments broke out between the two, with the spiritual leader having allegedly “shouted” at Sangay, using some expletives in Tibetan language the latter could not understand, denying having any plan to make the Karmapa his successor and refusing to be dictated terms by anyone. Rajeev Sharma, an independent journalist and strategic affairs analyst, previously published what was then refuted as totally untrue report on Nov 6 on thequint.com, claiming the Dalai Lama was suffering from last stage prostate cancer and that the issue of his succession may have to be resolved at the earliest. He has reiterated this claim in his latest report, adding the Dalai Lama’s position vis-à-vis Lobsang Sangay had been weakened by his health condition. China’s dirty fingers are definitely in this pie. Malicious or fake news as this is, China is the pay-master and there are many takers in the Indian journalistic world. Furthermore, the Tibetan who is claimed to be the source is fake news is no patriot, most likely a spy. who’s the source Rajeev Sharma was talking about?